Illegal immigration costs American taxpayers $100 billion a year, President Donald Trump has said as he slammed the opposition Democratic party for advocating an open border policy facilitating an easy entry of illegal immigrants into the US. His comments came amid a row over a caravan of an estimated 5,000 to 7,000 people mostly from three Latin American countries El Salvador, Honduras and Guatemala who are currently at the southern US border along Mexico with the intention to enter America. Trump said that soldiers deployed to stop the illegal immigrants from entering the US would not open fire, but would arrest them if they threw stones at the troops. "Illegal immigration costs American taxpayers more than $100 billion every single year, more than three times the entire state budget of Indiana. We need to use our precious resources to help our fellow Americans who respect our laws, not illegal caravans who break into our borders and break our laws," Trump said at an election rally in Indiana. Democrat immigration policies not only drain US treasury, but they threaten communities, he alleged. 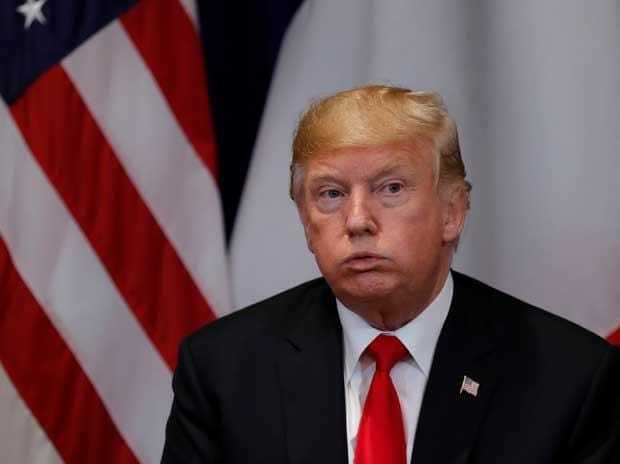 Nearly 100 per cent of heroin in the US enters through the southern border, along with roughly 90 per cent of the cocaine, the majority of meth and a substantial portion of the ultra-lethal fentanyl, killing youths all over the country, the President claimed. Trump said that the Caravan of people coming from Latin American countries have some criminals in it. In the caravan, more than 300 people have criminal records and have serious problems that US don't want to get involved with. The administration wants people coming in, but they have to come in legally. The November 6 mid-term elections is about security. This election is about prosperity, Trump said. "For years, you watched as we let foreign countries plunder our wealth, shutter our factories, and steal our jobs. But those days, if you haven't noticed, are over. "I recently announced that we are replacing the horrible NAFTA deal, one of the worst trade deals, with an incredible, brand-new US-Mexico-Canada agreement. The USMCA is a giant victory for Indiana farmers, manufacturers and dairy producers," he told his supporters as he listed out his achievements. Trump said that his administration has taken the toughest ever action to crackdown on China's very abusive trade practices. "And I spoke to (Chinese) President Xi (Jinping) today. They want to make a deal, but we have to have a fair deal. We have to have a deal that's fair for the United States," he said. And China has to open up their borders for US companies, he demanded. Trump said he withdrew the US from the horrible, one-sided Iran nuclear deal. "And just today, we announced that we are re-imposing all sanctions lifted under that ridiculous deal that should have never been signed in the first place," he said. "We will have in place the toughest ever sanctions on this brutal Iranian regime. And at some point, they're going to get very smart and they're going to come back and negotiate a real deal, a fair deal, and a deal that lets them thrive. We want them to thrive," Trump said. The US has recognised the capital of Israel and opened the American embassy in Jerusalem, he said. "Together, we have made extraordinary progress, and we are just getting started. But the Democrats want to turn back the clock, put America in reverse, and give power back to a corrupt, selfish ruling class that only looks out for themselves. I know them well," Trump added.